Kindspa – Spa and Beauty Salon HTML5 Template. 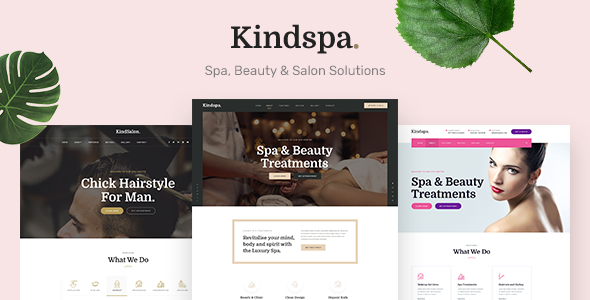 Kindspa – Spa and Beauty Salon HTML5 Template for all kinds of niches, like charity, NGO, It has all the features you need to start a Wellness, Spa or Beauty Salon Business or promote an existing one. It is also can be used for every volunteer, non-profit campaign like Environmental awareness, senior citizen living, Volunteer organization, to give love, bring happiness to others. It has 100% responsive design and tested on all major browsers and devices. What ever you are using the device your site will run as it should be. Kindspa template is fully responsive layout for all type of devices. Kindspa template coded with beautiful and clean codes! Some powerful HTML files 100% valid W3 web standards.